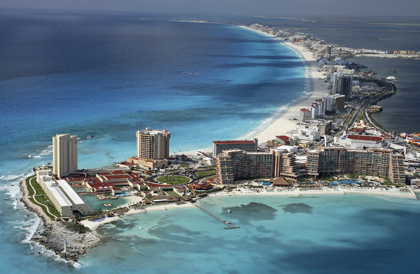 Cancun & Riviera Maya:The beaches are coming back! Since hurricane Wilma struck back in 2005, the Cancun and Riviera Maya beaches were not the same: the days when the pristine sand extended several meters beyond the hotels and resorts came to an end. Since then, the length of the beach has been coming and going due to natural erosion, even though some efforts were made to prevent additional sand loss. Finally, it seems that government agencies, some private organizations and hotel groups have reached an agreement to begin the long postponed project (at least for 3 years). Unfortunately, they’re having some small issues again. The beaches recovery program was supposed to start on October 19th, but an ecological organization opposed it. 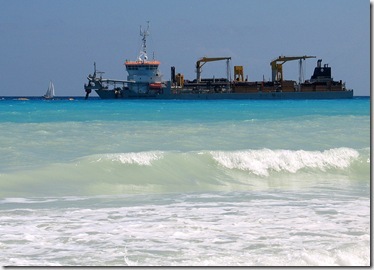 Even though this issue has been resolved, weather conditions have delayed the arrival of the powerful dredge to the Mexican Caribbean coast. In the words of the Tourism Board Secretary, Rodolfo Elizondo Torres, the beach recovery IS going to begin by October 27th despite the setbacks. 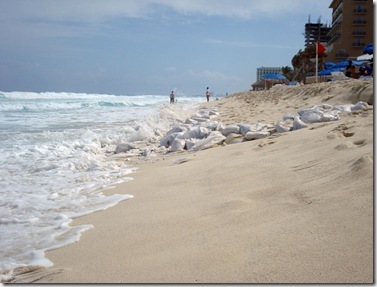 Besides pouring 5.2 millions cubic meters of sand along 12 km in Cancun, 800 thousand cubic meters in Playa del Carmen, and 131 thousand in Cozumel, the plan includes the construction of a concrete barrier to protect the beaches from future erosion. Total investment: $70.3 millions USD. We all hope the beach recovery project starts soon, because local residents, tourists, and travel agents are dreaming of those magnificent beaches coming back.